The days of waiting for the regular season to begin are finally over. 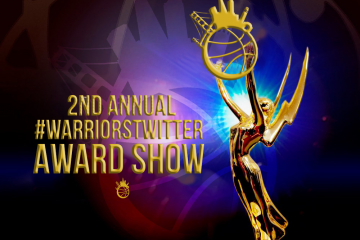 The NBA kicked off its 2014-15 NBA season with a short slate of games beginning with the NBA Champions receiving their hardware. For the rest of the league, the journey for the Larry O’Brien will commence. The Warriors will travel up to the state capital to take on the Sacramento Kings. The cliché remains true; the 82 game season is not a race but rather a marathon. With that said, injuries are bound to happen as it already has struck David Lee, but the team will need to show it’s resilience and ability to pick each other up. On paper, the Warriors are one of the league’s top teams. Although the Kings have been irrelevant for the past few years, they are up and coming. 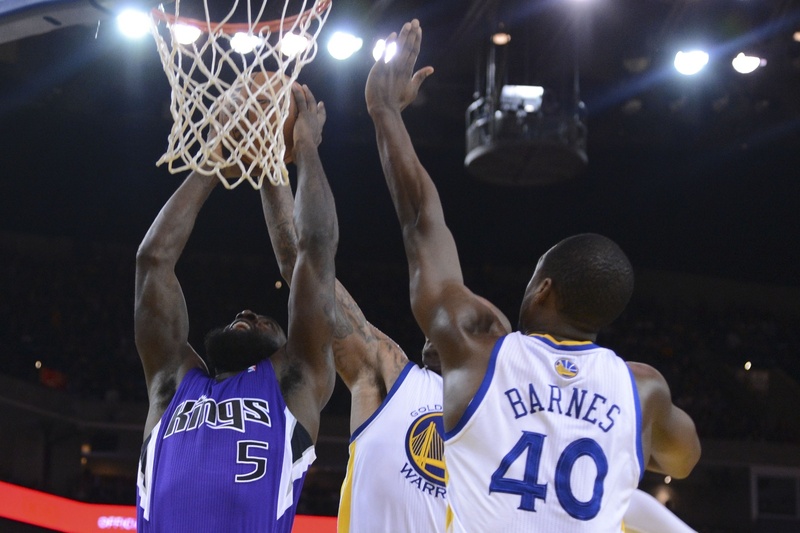 Sacramento is a young team looking to make a name for themselves. 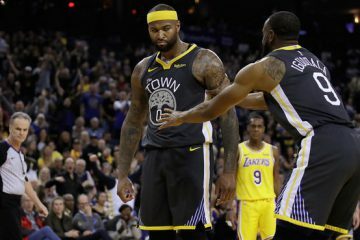 Cousins found himself playing with the “Splash Brothers” during the summer on the FIBA World Cup team. First handedly, the Warriors fans have seen Thompson elevate his game and make the jump to the next level. 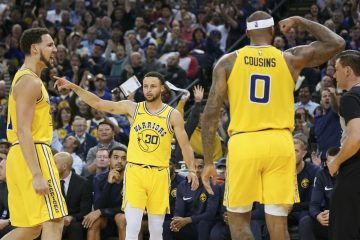 If the World Cup did the same to Cousins, the Warriors may find themselves in some trouble. In a small sample size, the Kings center was dominant during the pre-season averaging 18.2 points while playing less than 24 minutes. 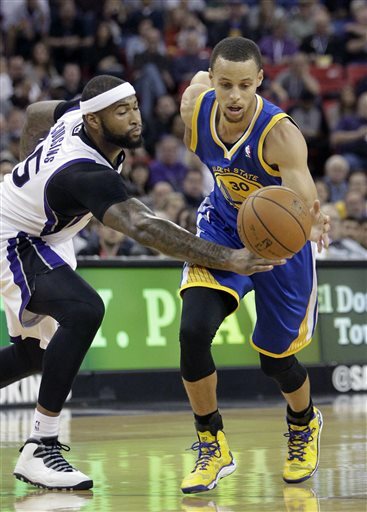 As the best player on the roster, the Kings will definitely lean on him to lead them forward. The eighth overall pick in the 2014 NBA Draft is ready to contribute to this team. Like we’ve mentioned, the team is young and scrappy. This pure shooter has range and he’s accurate too. In his college career, he shot 44% from behind the arc. Stauskas is a high basketball IQ player and is currently battling for a starting spot with Ben McLemore. More than likely, we’ll see him matched up with Klay Thompson in tonight’s game. 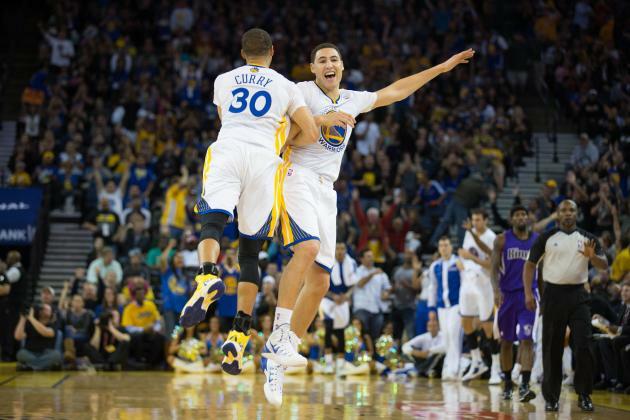 To be successful, the “Splash Brothers” will need to lead the Warriors all season. The best way to do so will be unleashing their fury of shooting. 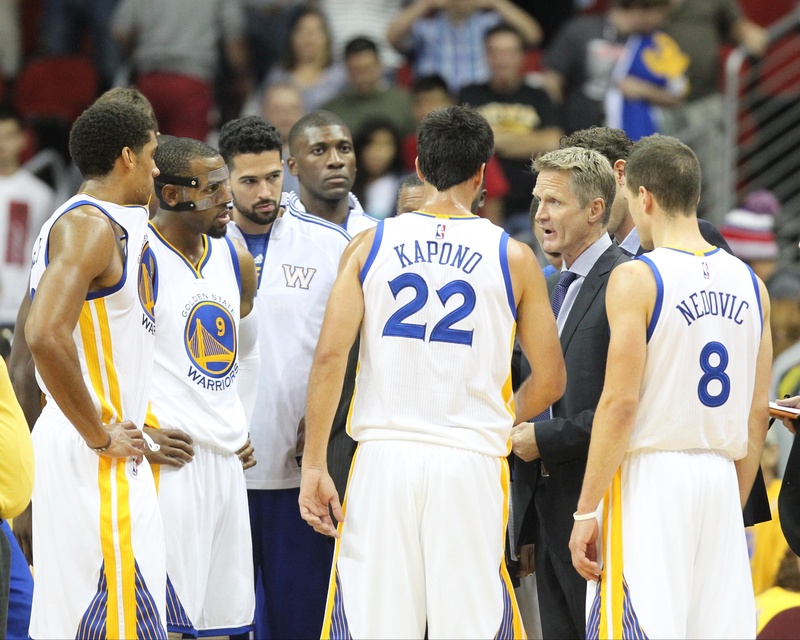 Their great offensive arsenal will apply pressure to the defense and making it easier for the Warriors. 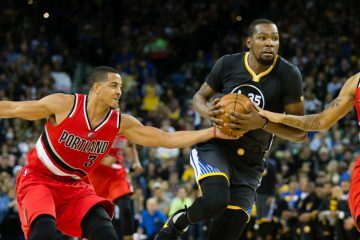 Thompson and Curry have looked phenomenal to this point; it’s time to erase doubts and prove the Dubs have the NBA’s best backcourt. If Iguodala comes off the bench, he will have to play the play maker role. He’s done a great job throughout the pre-season, but now these games matter. If he can get going early, the defense will focus on stopping him which will consequently leave his teammates a little more open. The veteran has shown his versatility filling in wherever Coach Kerr needs him. The off-season acquisitions of Leandro Barbosa, Justin Holiday, Brandon Rush, and Shaun Livingston makes this team’s bench deadly. While Rush and Livingston are still recovering, the Warriors bench should be well off with Iggy leading the second unit. 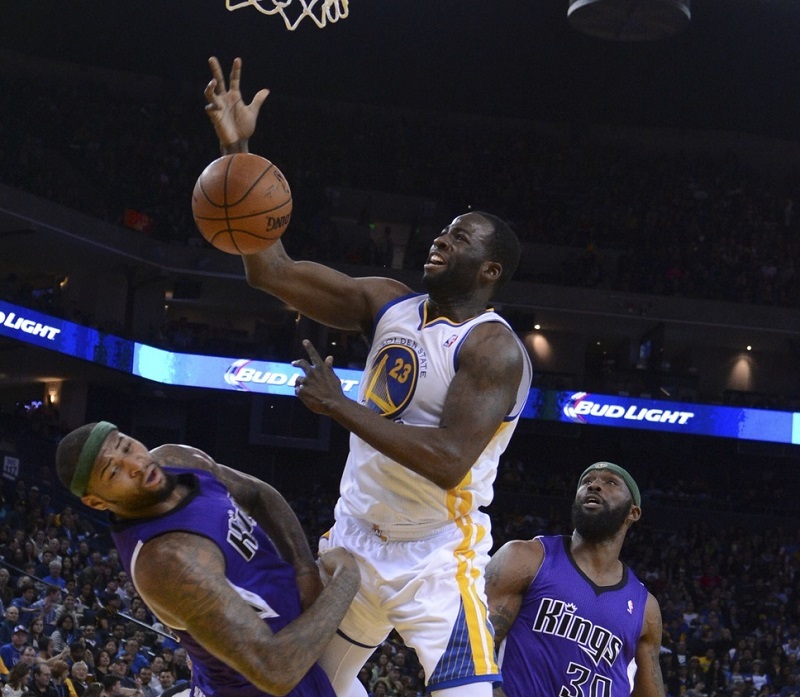 Festus Ezeli’s return makes the front court deeper. If Lee is out like he’s expected, Ognjen Kuzmic and Ezeli will have alot of slack to pick up. Nemanja Nedovic has been impressive throughout the pre-season displaying his swagger and confidence. He will look to go out and prove that he belongs with the league’s bests. The Warriors win 62 games. They got the players, the coach, the plays and the attitude.